Your website may be the hottest thing on the Internet, but if no one can find it then it’s useless. Our goal is to help you get discovered, before your competitors do! Discovering the keywords used most by your target audience, then using those words on every page of your website, both in the copy and the code. Writing a unique and targeted page description for every page, then coding those descriptions into the format most commonly used by the search engines. Creating an XML site map that can be indexed by the search engines. Optimized titles for every page allowing easier indexing by Google and other search engines. Installing and tracking Google Analytics for each page on your website. Then providing weekly, bi-weekly or monthly reports to you. Writing alternate text for each photo, graphic and other non-indexable images. 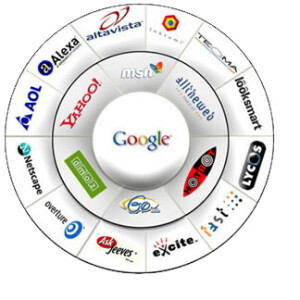 Registering your site with all major search engines. Researching relevant portals and exchanging links so that your site ranks higher during searches. Providing robot.txt to encourage more frequent indexing of your site. Monitoring how your site compares to competitor sites and adjusting keywords, page descriptions and other variables to move your site ahead in the search rankings. SEO is a constantly changing process. You need people working on your website who know what the latest trends, restrictions, and recommendations are for optimal ranking. We make it a priority to keep your website ahead of the pack.